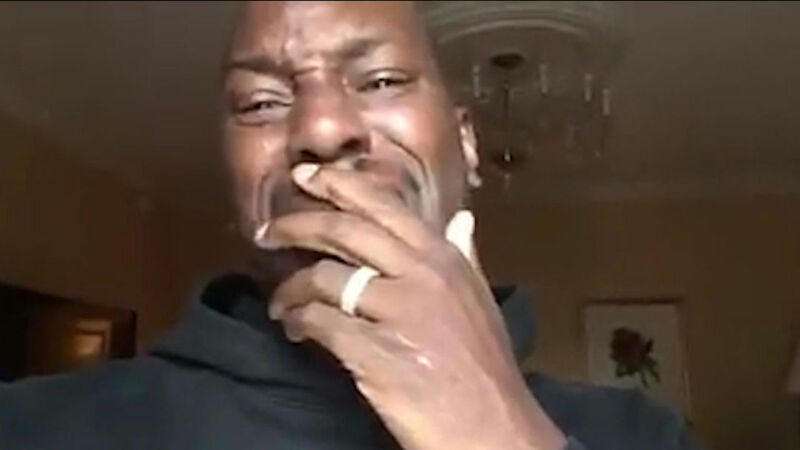 In what looks like a mental breakdown, Tyrese released a gut-wrenching, almost sad video where he pleads for his daughter to be allowed to see him. In the video, the Fast and Famous actor alternates between anger and tears, but the underlying theme is that of a desperate father who wants nothing but to be allowed to see his daughter. At least, that's what he wants us to see. In the video, Tyrese, whose real name is Tyrese Gibson denies physically abusing his daughter and insists it is his ex-wife that was poisoning her against him, at one point asking his ex-wife "I pay you $13,000 a month, what else do you want?" He also accuse her of rendering him basically unemployable with her allegations, which, according to him, is making it hard for him to get jobs. He also has something for the Rock who he says is delaying the 9th instalment of the "Fast and Furious Franchise" which is keeping him broke and affecting his family life, even going as far as threatening to quit the Franchise unless The Rock was dropped. His fall-out with The Rock came after the later agreed a solo spin-out of the successful Franchise with Jason Statham called Hobbs and Shaw which means the current instalment of 'Fast and Furious' would be delayed by another year. Tyrese and his ex-wife, Norma are currently in court fighting over custody of their 10year old daughter, Shayla. Norma is accusing Tyrese of physically abusing Shayla, even at one point beating her so hard, she could seat without pain.